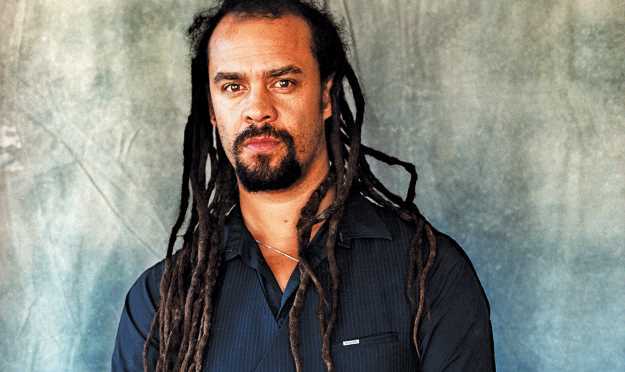 Michael Franti headlines the first day of this weekend’s Mountain Sol Festival. But what Franti realized when he formed Spearhead in 1994 is that rage isn’t everything. There was a disconnect, he discovered, between his political intention and his empathy. Still, it wasn’t enough. The story of how Franti evolved as a musician from the Beatnigs—a mid-’80s spoken-word, punk-noise band with a small cult following in the Bay Area—to frontman for a festival-headlining hip-hop/funk-rock/reggae-soul jam band with a large and devoted fanbase is also the story of his personal evolution. The turning point came at an unlikely time—the day after 9/11—and in an unexpected form: Franti discovered yoga. Not long after, Franti wrote what would go on to be his most famous protest song, “Bomb the World,” a Marvin Gaye-esque plea for an end to “military madness” that declared: “We can chase down our enemies/Bring them to their knees/We can bomb the world to pieces/But we can’t bomb it into peace.” The song was released on Spearhead’s 2003 album Everyone Deserves Music, and its chorus quickly spread around the world—seen on signs, T-shirts and CNN. Perhaps it shouldn’t be surprising that yoga had such a profound effect on Franti’s life and career, as he had been looking for years for a way to bridge that disconnect between musician and audience. There can be no doubt that Franti is practicing what he preaches: on the day of every show, Franti leads a yoga session with fans who want to participate.